Nechama was named one of the "36 under 36" - The Millenials Who are Changing the Face of the Jewish Community in the Jewish Week. 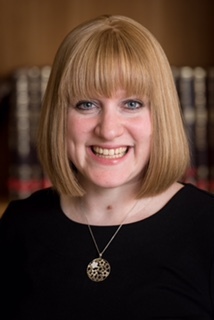 Yoatzot Halacha are women certified by a panel of Orthodox rabbis to be a resource for women with questions regarding Taharat Hamishpachah (an area of Jewish Law that relates to marriage, sexuality and women's health). This role was devised to assist women who are more comfortable discussing very personal issues with another woman. Women preparing to become Yoatzot Halacha are chosen for their extensive Torah scholarship, leadership ability, and deep religious commitment. They devote two years (over 1000 hours) to intensive study with rabbinic authorities in Taharat Hamishpachah. In addition, they receive training from experts in modern medicine and psychology, including gynecology, infertility, women's health, family dynamics and sexuality. Yoatzot Halacha give talks throughout the community.